That right was long assumed to be inherent in legal doctrine concerning lands held in public trust — until a court opinion raised doubts. The bill would enable the Department of Environmental Protection to keep protecting and promoting access, and Gov. Phil Murphy should sign it into law soon. This sensible agreement on waterfront access is widely supported by environmental and business groups. It seems like it could have been quickly reached years ago. Not in New Jersey. More than a decade ago, the DEP announced a plan to require each shore town to provide free beach access every quarter mile, a bathroom every half mile, plenty of parking and round-the-clock access to beaches and marinas both private and public. That provoked a firestorm of opposition and a lawsuit by municipalities. Unsurprisingly, since unlimited night access would be unsafe, it was struck down in Superior Court. A humbled DEP decided to work with towns individually on access. 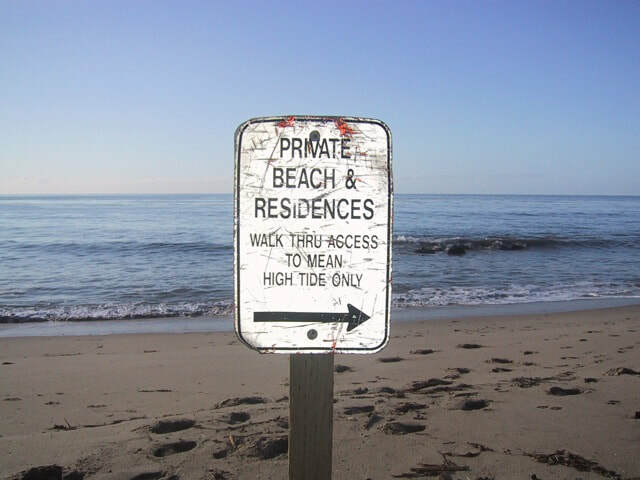 Environmental groups didn’t like that and sued, and a judge ruled that despite widespread belief in the public trust doctrine, the DEP lacked explicit jurisdiction to oversee beach access. In 2016, Gov. Chris Christie and the Legislature quickly remedied that. But then two upstate legislators renewed the push for access “to the greatest extent possible” to beaches and waterways, and taxpayer-funded restrooms and parking even where there is no demand for them. Now more reasonable legislators and a task force with environmental and business representatives have prevailed. The new bill requires the DEP to seek a realistic “practicable” level of access in its funding and permitting decisions. It also allows for exemptions from access for critical infrastructure such as nuclear power plants, chemical plants, refineries and petroleum tank facilities (which seems like a no-brainer but required a push by business groups to get it done). The DEP will continue to work with municipalities, giving them incentives to develop plans that provide access points every half mile and not use the absence of parking and bathrooms to discourage waterway visitors. Municipalities should make such plans because that complies with state policy, is fair to residents everywhere who help pay for costly beach replenishment and such, and because it might help head off future campaigns for excessive or even impossible levels of access and amenities. The bill leaves regulation of beach parking and fees unsettled, so there’s an opening for further state intervention. The bill should become law and everyone should see how access improves under it. That’s a better way to spend a decade than wasting time and money in conflict and in court. Read original article . . .